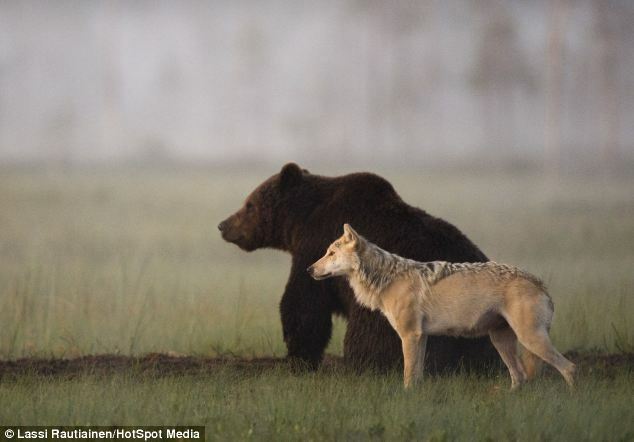 Both are meant to be isolated hunters that strike fear into everything they meet. 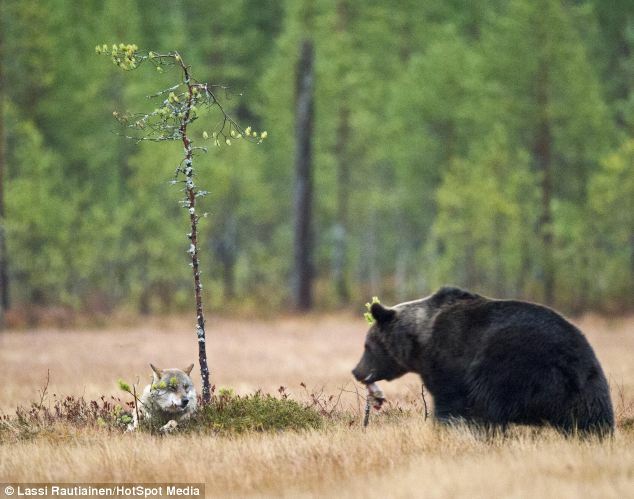 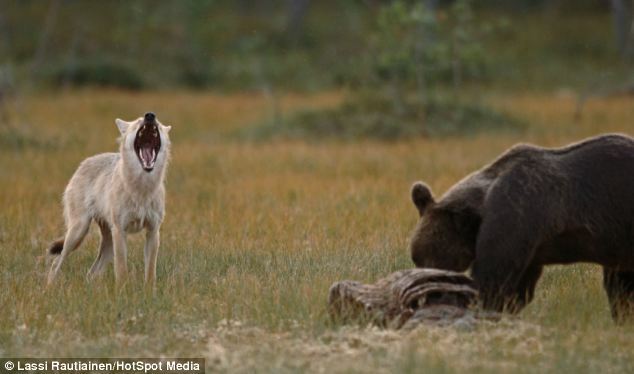 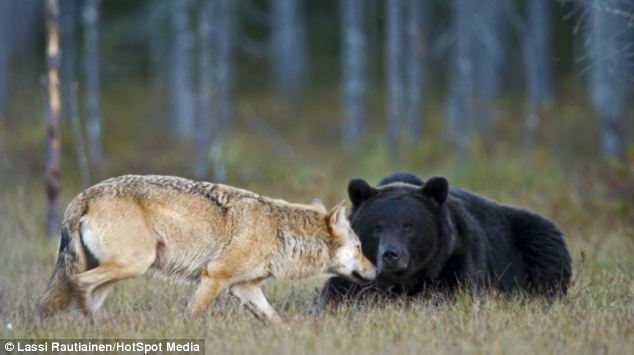 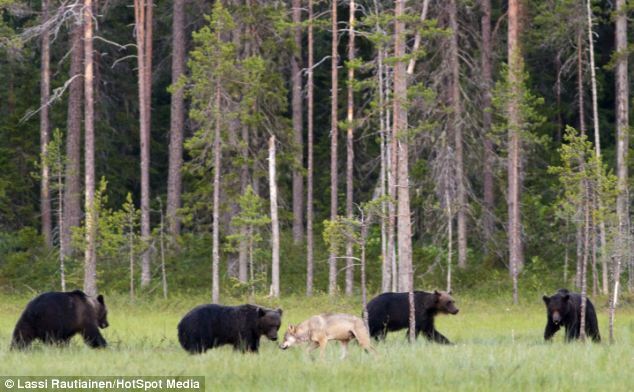 But this male bear and female wolf clearly see the softer side in one another and eat dinner with one another. 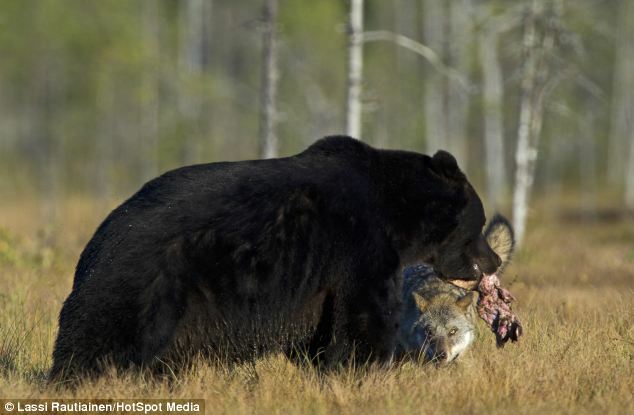 Each evening after a hard-day's hunting this pair of unlikely friends could be seen sharing a romantic deer carcass meal together as the sun set over their wilderness home.